New Year's Day is an exciting holiday when friends and family gather together to remember the past year and celebrate the new one. Create a festive atmosphere for your guests with fun and appropriate decorations. 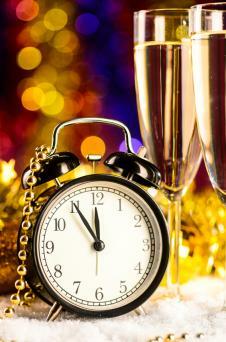 Clocks are a way to measure time and are the perfect symbol for a New Year's Day party. You can use them as table decorations or room-sized decor. There are many ways to incorporate clocks into your table decor. One way is to group them together to create a centerpiece. Set all the alarms to go off at midnight. Another idea is to lay them flat on each place setting and set a clear plate on top of it so the clock shows through the clear plate. Make your own clock wall decorations by adding number stickers to paper accordion circles. Use the numbers to represent the numbers on a clock. Cut arrows out of black paper to create the clock hands. Hang these decorations on walls or from the ceiling. If you are having a big party in a large venue, consider this show-stopping visual centerpiece. The Moment in Time package from Stumps Party includes a large clock theme archway, clock cutout set, and other pieces and retails for about $575. 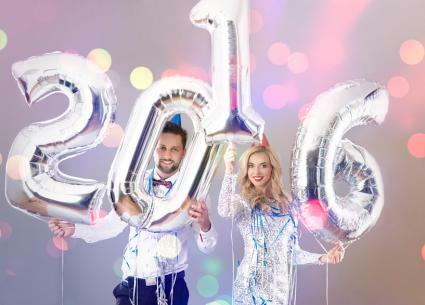 Use the numbers of the upcoming year as decorations for the party. From balloons to light-up numbers, this is a memorable choice. Cut large numbers representing the upcoming year out of poster board and use tissue, confetti or silk flowers to decorate this wall hanging. Choose tissue or flowers in colors to complement the rest of your party decorations, or use black and white to match any setting. Use affordalbe foil balloon numbers, such as those from Just Artifacts, to create the number representing the upcoming year. Fill them with helium and set them on the main food table for a fun and festive look. For a high-impact decoration, purchase lighted marquee numbers from a home decor store or from Anderson's online. Set the numbers for the year on the buffet table or another prominent place to become the focal point for the party. Football is a popular way to celebrate the new year and can help dictate your decoration choices. If your New Year's Day party will be centered around the myriad of football games that are played that day, organize your decorations to reflect the day's activities. 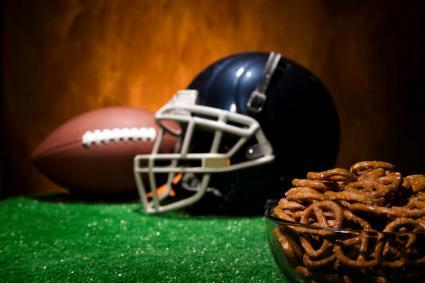 Use plain green table cloths or football-themed cloths, and pair these with football-themed plates, cups and napkins. Use a football as a centerpiece to extend the theme. Create your own football-themed garland by cutting football shapes out of brown paper. Use a white paint pen to draw the laces on them. Then tape the footballs onto string to create a garland. Hang the garlands across the front of tables, over doorways, or anywhere else you want a little more decoration for your party. This 45 inch inflatable football from Oriental Trading is the perfect focal point for your party. Use it as a photo op and provide some fun football-themed props such as large foam fingers, team pennants and pom poms for guests to use for fun photos. 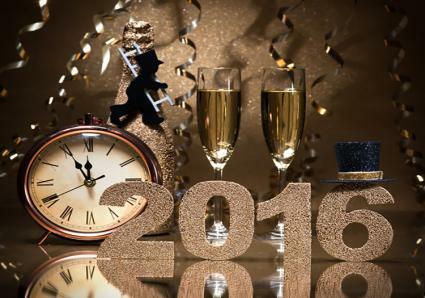 New Year's Eve is the perfect time to look towards the future with hope and excitement. Use this as the starting point of your theme. Outer space symbolism is often used in futuristic parties, and this star theme table cloth from Discount Party Supplies is the perfect cover for your food table. Pair it with shiny silver paper products and balloons. Buy a silver mixing bowl and use hot glue to add googly eyes, pipe cleaner antennae, nuts and bolts for a nose and ears, and other fun decorations. All it takes is a little creativity to make a robot head bowl to serve party treats. This fun idea doubles as a decoration and a guest book. Place crystal balls on the tables with notebooks and pens nearby. 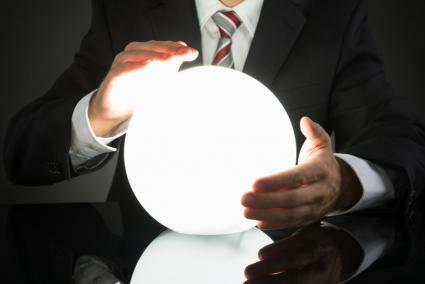 Ask guests to make predictions about the future year and record them in the books. Help guests create goals for the upcoming year with these fun decorations. For a decoration that also works as an ice breaker, make a resolutions board out of posterboard decorated with garlands. Write several common resolutions, such as "lose weight" or "save money," on small pieces of paper. Stick the resolutions onto the board with double-faced tape and have each guest choose one to wear on her clothes for the day. Provide some blank pieces of paper too, so guests can write their own. Hang motivational posters all around your party venue. Inspirational messages such as "You can do it!" and similar sayings will help encourage guests to reach their goals and will help decorate your party setting. Customize this banner from Walgreens with personal photos and messages to hang at the party location. 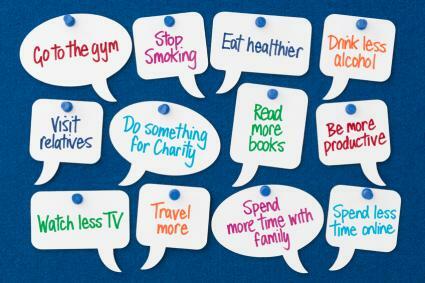 Guests can fill in their resolutions if they choose to participate. Finally, don't overlook the simple decorations that add a festive look to any occasion. Pull out the good china, add bouquets of fresh flowers to tables and countertops, and stack the table with a lot of delicious foods that guests will love. It's the little things that make your New Year's event really feel like a party.